Last week’s poll, “Editing the Edits“ has now closed with 24 votes. The results are in and I thank you for voicing your opinions on the subject of reactionary edits in Hollywood. 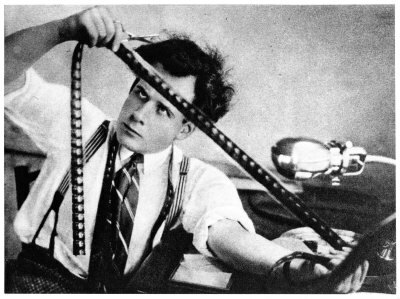 It would seem that most are in favor to not edit films as a result. Be sure to check out the results from last week’s poll’s HERE. In this edition of ‘TVT’ this week’s poll, entitled “The Best Cop BFFs”, takes a look at some of the best buddy cop duos throughout film history. In light of the increased push for the FOURTH Rush Hour to start production, I thought I’d take a moment to consider some cop BFFs from the genre that doesn’t back down: buddy-cop movies. We loved Chris Tucker and Jackie Chan in the first Rush Hour. Enjoyed watching Tango and Cash and Turner & Hooch sleuthing it out. Also laughed several times during Starsky & Hutch’s shenanigans. The good-cop/bad-cop comedy teams in films have been pretty fun to watch and continue to entertain. Perhaps you have a greater appreciation for another buddy cop duo. Make your choice known in the poll below. For Baltimore Homicide (AKA, ‘Murder Police’) Detectives Jimmy NcNulty (Domenic West) and ‘Bunk’ Moreland (Wendell Pierce) in HBO’s superb ‘The Wire’. Granted, ‘The Wire’ may not be an Honest to God, theater style movie. It is still movie quality and executed wondrously! Haha great choices my friend. I thought you actually might have chosen 48hrs. I’d thought of ’48 Hours’. Nolte and Murphy are good under Walter Hill’s learned touch. But Nolte’s been better in other films. Stoically awaiting being flamed by others. haha. well, 48Hrs got a vote now. But, i do agree, Nolte has been better in other films. Warrior was one of those! 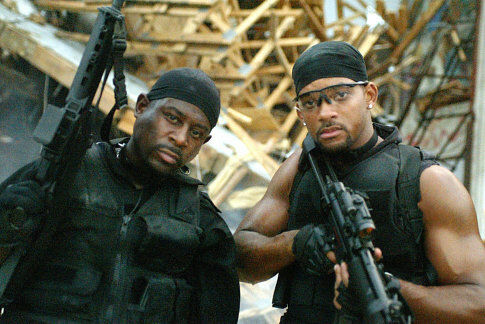 Do you think they will ever do BadBoys3? I liked the first one more than the second. Gotta go with the classic Lethal Weapon duo here. Great chemistry between two great actors. An excellent and highly popular choice my friend. 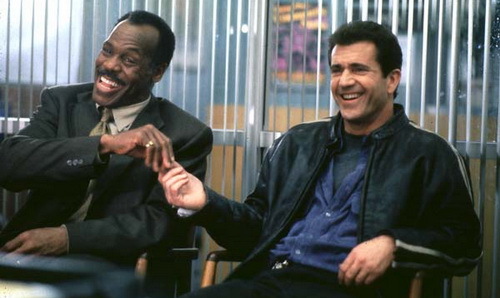 Which Lethal Weapon film is your fave? I voted for Lethal Weapon and Hot Fuzz, one American, one Brit, fair right? 😉 I actually enjoyed The Other Guys a lot, who knew Wahlberg and Ferrell combo could be sooo funny! I don’t even mind watching that again one day. Fun poll, T! Haha. “Aim for the bushes.” Thanks for voting today Ruth. Nice choices. Hey Morgan. Thanks for voting. It looks as if Lethal Weapon is running away with this one. Lethal Weapon is the epitomy (sp?) of buddy cop films but Bad Boys edges it for me. I love that film and I think its the only good thing Martin Lawrence has done! I watched Blue Streak and Nothing to Lose when I was a kid and have always put my enjoyment of both of those down to my age. Maybe I need to give them both another go, see if they still have the same appeal. I can see that. But I’ll tell you what, I still end up cracking up with those two movies quite a bit. Some of my faves!